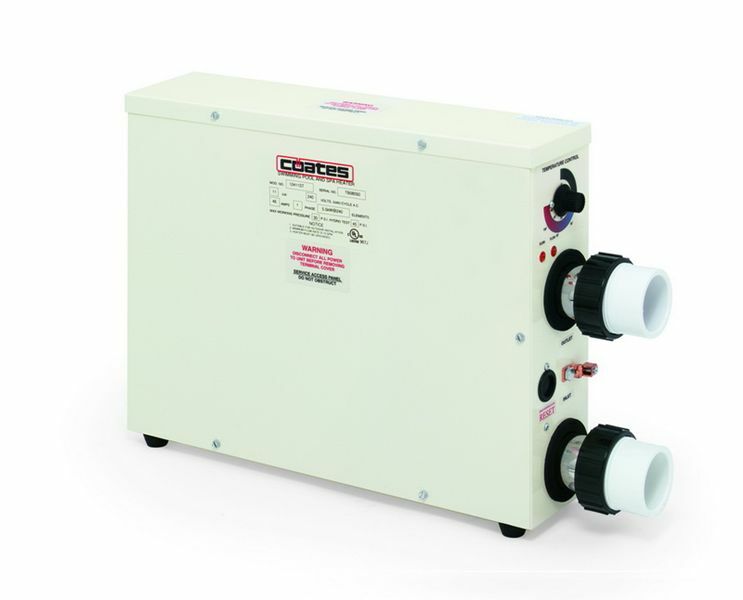 Coates Electric Pool & Spa Heaters | Halogen Supply Co.
Electric pool and spa heaters are the most popular devices for keeping pool water warm, especially for those cooler months. This type of heater is likely to be one of your best investments! For commercial pool and spa heaters, look no further than Halogen Supply. Halogen Supply offers a variety of trusted electric pool heaters. Whether you’re looking for a specific brand of electric heater or simply have questions about your options, our expert team at Halogen can help with all your pool needs. Halogen Supply supplies the most popular industry brands, including Coates Electric Pool & Spa Heaters. A built-in flow switch, to prevent operation of the heater when there is no water flow, is standard equipment. Halogen Supply has been a renowned distributor of commercial and residential pool and spa products for over 70 years. Our knowledgeable staff is available to answer any questions you may have. Please contact us online or give us a call at 800.777.SWIM.